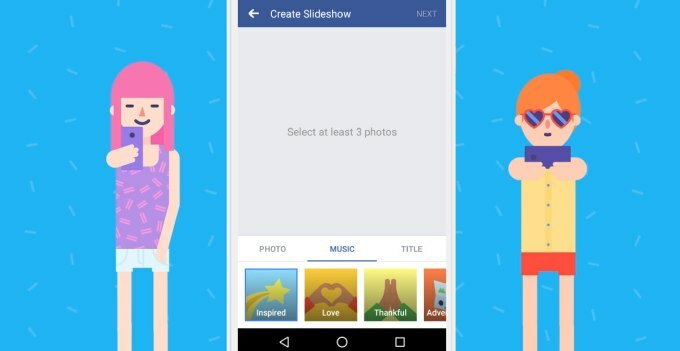 Social Archives | Androidability | Android tips, tricks, and technology for better ability. Now, XDA-Developers has noticed a “Game Detection Service” in the Discord Android app. 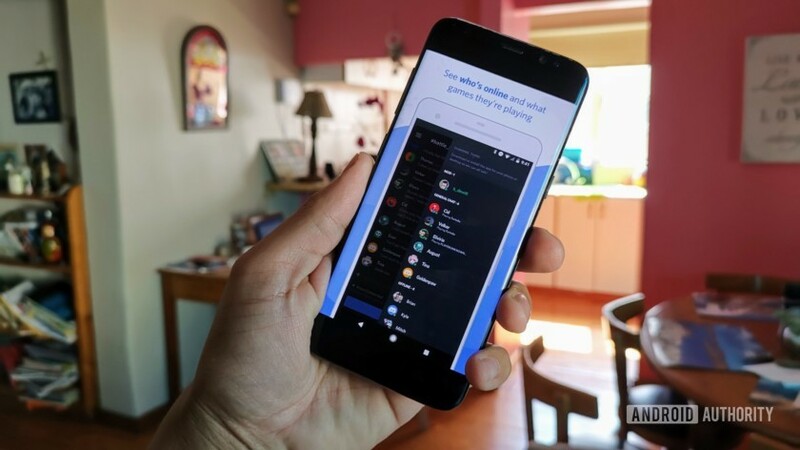 The feature simply lets the app detect what Android game you’re playing, then gives you the option of displaying the game as a status message. To activate the Game Detection Service, you’ll need to visit User Settings > Games. You then need to simply enable the two toggles found in this menu, and that’s pretty much it. The function also requires the usage access permission to work properly. Once you’re up and running, your status should automatically update with the name of the Android game you’re currently playing. It’s a pretty neat feature for Android as, with the exception of Google Play Games, we don’t really anything similar on the platform. First of all, you need to install an app from the Play store. There are a few apps that can turn your phone into webcam. Set up a user ID and password, which is good for the phone webcam’s privacy and security. At this point, go to your computer and open up your web browser. Browse to the phone webcam’s IP address. Simply type in the complete IP address (with the port) at the address bar and hit enter. We’ve explained how Facebook Messenger isn’t anywhere near as evil as a recent spate of ill-informed stories would have you believe, but that doesn’t mean there aren’t features you can’t take control of. It’s pretty easy, actually, requiring no hacking at all. Here’s how to handle it. 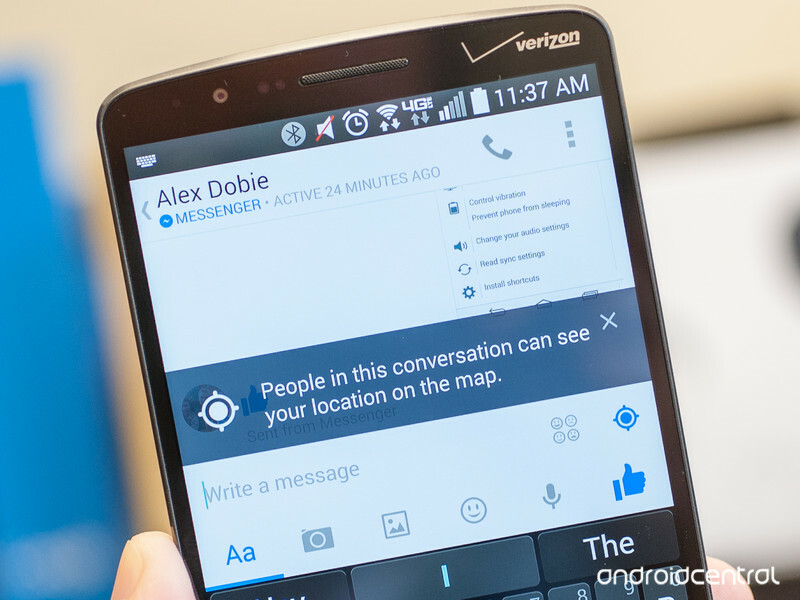 By default, Facebook Messenger includes your location in new messages. You can see where you are. (Of course, you should probably already know where you are, since you are there. You’re in the now.) And you can see where your friend is. And if you zoom in, you can really see where your friend is. Understandably, you might not want that to happen. And while perhaps it might be better if Facebook Messenger’s location service was opt-in instead of opt-out, at least it does give you a warning when you start a new conversation with someone. There are a couple options for turning off location in Facebook Messenger. To turn off location sharing in Facebook Messenger wholesale, all you need to do is go into the Facebook Messenger settings — hit the little gear image — and uncheck the box under “Location.” (Note how it mentions that “new messages include your location by default when it’s turned on.”) Once you do that, location won’t be shared by default when you start a new conversation with someone. Without meaning to stray to far into truism territory, the core raison d’être of smartphones is that they are designed for many tasks. In a single, compact device you have a mobile phone, digital camera, PC, MP3 player, video player, travel guide, supermarket and any other service you can think of that works online. Yes, your smartphone is a jack of all trades. But is it a master of any? Dedicated point-and-shoot digital cameras and lower-end camcorders are surely facing a slow road to extinction, with many modern phones capable of shooting ridiculously high-quality photos and videos. But can your phone really do it all, from start to finish, without connecting up to your PC? Well of course it can. Here, we take a look at some of the tools and techniques beginners can use to shoot, edit and upload videos from their Android smartphone. First up, this guide applies to any Android user, irrespective of their device of choice. And many of the tips may apply across the smartphone realm too, though we’ve focused on Android here to keep things a little more contained. However, the quality of your smartphone will have a big bearing on the quality of the video you capture. There are tools that can help enhance poorly captured video, but there’s no substitute for good equipment in the first instance – so the likes of the Oppo Find 7, Acer Liquid S2, LG G Pro 2, Samsung Galaxy S5 or theOnePlus One will all serve you well here, each capable of shooting video in up to4K resolution. 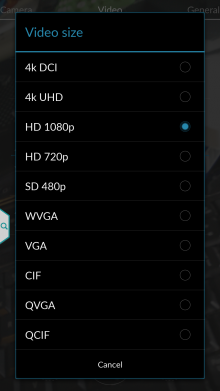 That said, 4K isn’t really necessary to capture high-quality video, especially when you consider that most TVs and monitors still aren’t 4K compatible anyway. Most recent mid-to-high range Android phones will offer something in the region of HD 1080p, which is more than adequate. But as a general rule of thumb, the better the quality of smartphone you have, the better quality lens and camera it will have for capturing video. This will usually be reflected in the price too, but not always, as we’ve seen with the $300 OnePlus One which has a better-than-average camera for the price. Shooting is the most crucial stage of the video-creating process. If you capture the video correctly, you have all the time in the world to mess around with editing to get that bit right. But if the source material is wonky, well, you will be seriously hamstrung further down the line. First up, what camera should you use? The camera on your phone, sure, but what app? Chances are, the video camera app that came bundled with your Android device will more than suffice. Most of the third-party video-recording apps out there simply link to your device’s bundled camcorder – and remember, they’re both using the same underlying hardware anyway. Though often they may have a few nifty features thrown in for good measure, such as touch-to-focus, image stabilizing, and other configurable settings as with the Camera ICS app. For most people though, the camera that comes with your phone will be absolutely fine for shooting. This is far from an exhaustive list, but they’re probably the most basic and simplest factors that can elevate ‘awful’ to ‘not bad at all’ when creating a home movie. Orientation: The simplest rule-of-thumb is to ensure you always flip your phone and film in landscape mode. While filming in portrait can be fine for viewing back on your device, if you want to avoid those dreaded black bars down the side of your skit on YouTube, treat portrait like the plague. 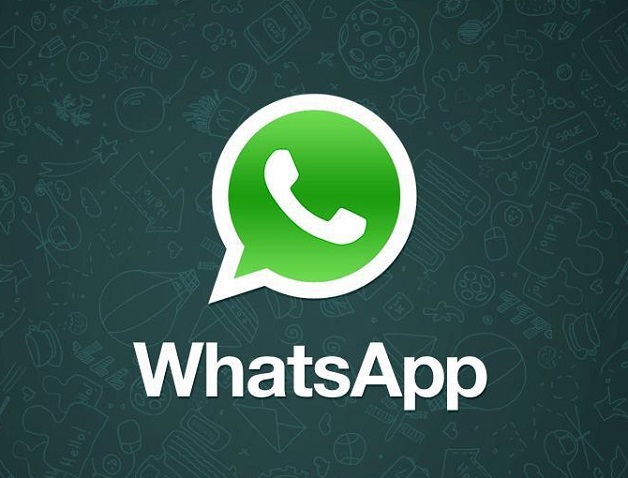 WhatsApp, the app that almost anyone (including Grandma) has on their smartphone, is great for the most part, but is unfortunately not void of faults. You might wonder where all of your mobile data goes in a month, not to mention why your internal storage is dwindling? A reason for this could be because pictures and other media are automatically being auto-downloaded when sent to you, and this seems to be switched on by default! Today we’ll give you a brief tutorial on how to switch this off, and save precious data. In fact, this tutorial is super easy. It’s just a matter of exploring your settings, and getting better acquainted with what the app is doing behind the scenes. WhatsApp will automatically download pictures to your gallery, as well as audio and video, if you have these ticked. For me, image was ticked by default. You can decide whether you want media to be auto-downloaded using mobile data or when connected to Wi-Fi, as well as when roaming. Keep in mind that voice messages are always downloaded for better quality, so this is not optional. On WhatsApp for Android, open the app and tap on the menu button at the top right corner of the screen. Select Settings. Next, choose Chat settings, followed by Media auto-download. Now here, you can tap on both ‘’When using mobile data’’ and ‘’When connected on Wi-Fi’’ (and roaming), to narrow down what gets auto-downloaded, if anything at all. 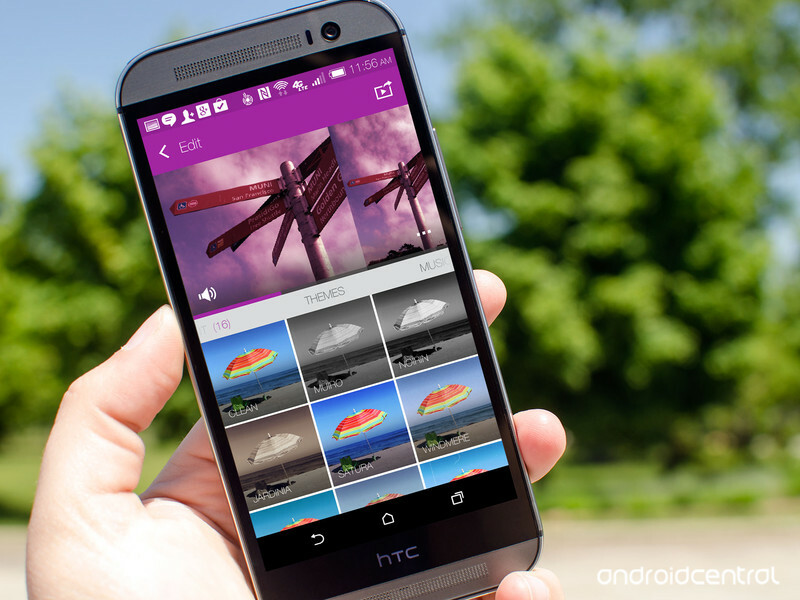 If you use Dropbox as one of your main sources of storage for music and photos then you’ll be pleased to know that you can access it pretty easily in some of the stock apps on the LG G3. The stock Gallery and Music applications can hook into your Dropbox account and pull in your content with a few easy steps. Sadly, anyone using the AT&T specific variant of the G3 doesn’t seem to be able to do this. Sorry, folks. The first thing you need to do is set up Dropbox access on the phone. To do this you’ll want to head into Settings > Cloud and then hit the “Add account” button at the bottom of the display. On the next screen you’ll see a selection of different cloud services, including Dropbox. Below the account information you’ll see checkboxes to access content for “Gallery” and “Music.” Make sure you’ve checked the relevant boxes then you’re set. The video highlights feature in Sense 6 lets you quickly and easily create quick 30 second montages that you can then share on social media or directly with friends and family. Sense will choose photos, videos, and Zoes that are stored on your device and mash them up. From there you can add a theme complete with music, and you’re done. However, software isn’t perfect and video highlights are no exception. 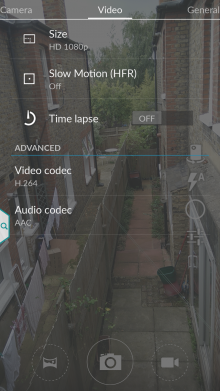 Here are some tips on creating even better video highlights in Sense 6! Sometimes when we upload photos to our computers or view them later, we notice tiny things like motion blur or distracting objects that we didn’t notice when we originally took the photo. A lot of this kind of stuff can be avoided by being sure we take enough photos. Go crazy and take more photos than you think you’ll need. You can always delete ones you don’t want later. Use continuous burst mode to grab moving objects and take more than one shot of everything else, you’ll most likely be glad you did when you have an amazing video highlight compilation.